The seed bank article in this issue of EDN is about indigenous leafy vegetables. Baobab (Adansonia digitata) leaves are also a kind of indigenous leafy vegetable. They are a staple food in the Sahel of West Africa. Baobab leaves are nutritious (particularly high in vitamin A) and are eaten almost daily in sauces. Baobab is also important for many additional reasons: during the dry season, fruit is either eaten fresh or dried; fiber from baobab trunks is used for rope; and beehives are hung in the trees to provide honey. But there are some problems with harvesting leaves from baobab trees in the wild. The trees are huge, which makes harvesting the leaves risky. The leaves grow during the rainy season (June to September), which is also when annual crops need work. Drying leaves is difficult to do during harvest (when labor is needed elsewhere), and vitamin A content is reduced. Baobab gardens have other benefits. For example, 90% of “wild” baobabs do not bear fruit because too many leaves have been harvested. If people can grow their own baobab leaves, the wild trees will be healthier and will bear more fruit. 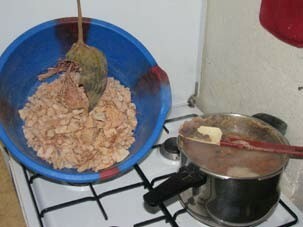 Figure 1: Boiling baobab seeds for improved germination rates. Photo: Jonathan Nicols. I asked the Nichols about their experience planting baobab trees in Burkina Faso. Jonathan responded with several comments. “We tried to water the baobab gardens in the dry season, but they did not respond well. We may not have been watering them enough, but we also suspected that they had an internal calendar running. “Establishing the baobab garden was the most difficult part—we found that seeds treated by immersion in boiling (rolling boil!) water for 20-25 minutes was best (Figure 1). Even so, germination rates do not get much above 60%, which is more-or-less standard for the baobab. We tried concentrated sulfuric acid too, but found it too complicated and inferior for germination rates. We used locally harvested seed because we were too cheap to buy from the National Forest seed bank. “Because the germination rate is low and the germination times vary widely (14-400 days—yes, we had some seeds germinate the second year, in spite of treatment), we found it annoying to try to establish several hundred seeds in a tight grid spacing. There are inevitably lots of “blanks” and those spaces become difficult to fill once the others have taken off. As we left Burkina, we were experimenting with planting the seeds very densely in a nursery bed and then transplanting them. In our experience, baobab is reasonably tolerant to transplantation, so the method should be an improvement. 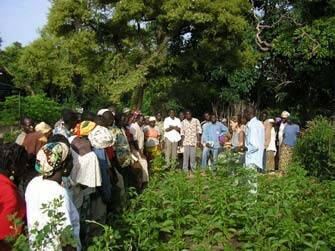 Figure 2: A baobab garden in Burkina Faso. “The baobab garden was one of the most admired features of our garden (Figure 2). Local Burkinabes loved the idea and were keen to harvest the leaves. Moreover, our workers told us that the leaves from mature trees are not as consistently sweet and tender as those from the garden—ours would command a higher price in the market if we were to take them there. “If I remember correctly, baobab is quite hard on the soil, especially taking more than its share of calcium. Our garden was two years old when we left and we had not yet noticed a change in production. “We used neem, Bt [Bacillus thuringiensis], and physical plucking against insects and larvae. Right after the rains began, the baobabs were among the first green things to appear, so the insects were after them. Cattle and other animals would also jump our fence for a taste, so protection is essential and better that the garden be close to the house."